Bombshell: Obama White House Tried to Take Over Trump-Russia Investigation! 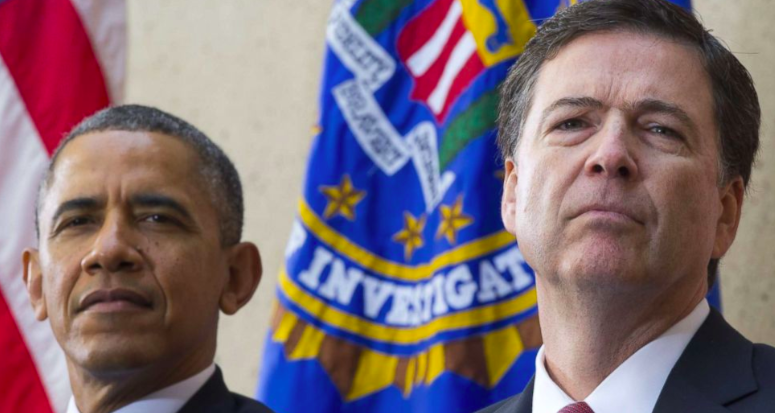 A bombshell new report details that there is a paper trail in the FBI detailing how the Obama White House tried to take over the Trump-Russia investigation. FBI agents were worried the Obama administration was trying to weaponize the FBI against Trump, so they put all of it on paper. This is leaking out to reporters, but the Deep Staters in the DOJ and FBI are still blocking Congress from getting these documents. The Deep State knows that if this gets out, Obama and his cabal will be finished. Now, more than ever, we must FIGHT to hold all of these Obama officials accountable for their crimes! Please, send your FaxBlast to Congress below and DEMAND they seize these documents and remove each and every Deep State official that has been protecting the Obamas! Last night, investigative reporter John Solomon dropped a bombshell. There is a paper trail inside the FBI detailing how the Obama White House tried to take over the Trump-Russia investigation. Not only that, but the documents show the FBI was surveilling the Trump campaign long before they had ever formally launched an investigation. We know from Peter Strzok's text messages that the Obama White House was running the witch hunt. Now, we know that there is even more evidence of this. You and your colleagues have been trying to get these documents for months. However, the DOJ and FBI are flat-out defying Congressional subpoenas and refusing to hand the evidence over. The Deep State knows that if this comes out, the Obama cabal is finished. Hours before Trump took the oath of office, Susan Rice sent herself an email detailing a meeting Obama had with James Comey telling him to investigate Trump "by the book." Now we know why she sent this last minute email to herself. The investigation was anything buy "by the book" and the White House was intimately involved in running it. Why are you letting the DOJ stonewall you on this? You have the power to seize these documents and to remove the officials who are obstructing Congress. It is time to exercise this authority. For far too long, Deep State officials have been allowed to defy Congressional oversight subpoenas. This isn't political. This is about restoring Congress' constitutional oversight powers. For months, the key question about the Trump-Russia investigation has been "what did Obama know and when did he know it." We now know that the FBI has documents proving that the Obama White House knew everything from the very beginning. You need to seize these subpoenaed records. No more excuses. If you won't pursue the truth, you will be replaced by someone who will.